Kelli in the rain, originally uploaded by The Bacher Family. In early October, we participated in a "walk for hunger" in Lakewood to raise money and awareness for local food distribution programs. 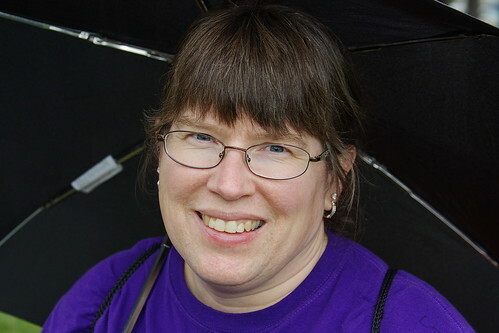 It was a drizzly day, so Kelli was under our umbrella, which made a nice dark backdrop for an impromptu portrait.